Throughout history, tales of chivalry have burnished the legends of brave, handsome knights who rescue fair damsels, slay dragons and conquer evil. But behind many a hero is a good-for-nothing younger brother princes on a daring mission to save their land, they must rescue the heir apparent’s fiancée before their kingdom is destroyed. 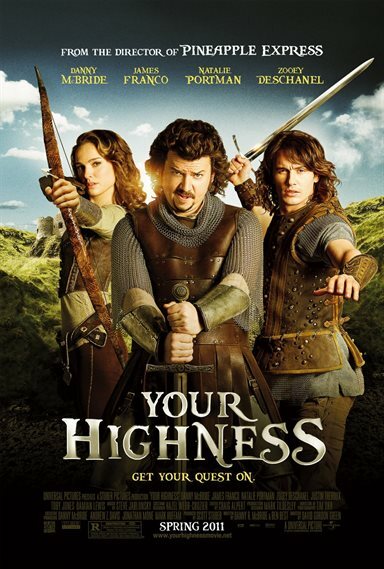 Download Your Highness in Digital HD from the iTunes store. Your Highness images are © Universal Pictures. All Rights Reserved.